May 04, 2016 (LBO) – Sri Lanka’s government will fast track the approval of investment projects through the setting up of two new agencies, a state minister said in a statement. 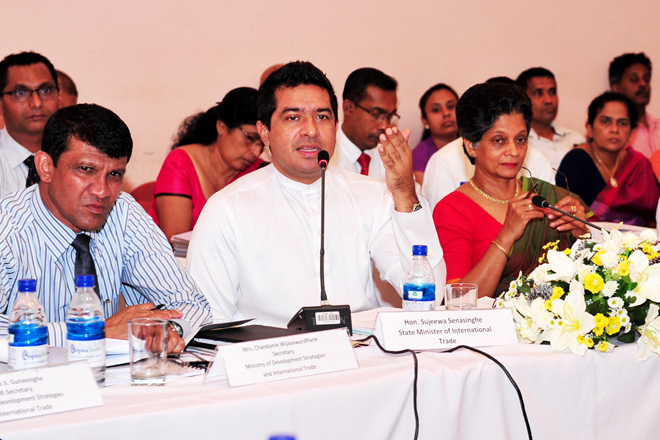 “Ideally the time frame for approval of projects should be about two months,” Sujeewa Senasinghe, state minister, Development Strategies and International Trade, said. Senasinghe made these comments at a recently held investor forum where he met with 11 existing investors to address issues when starting new projects or expanding existing investments under the Board Of Investment. He added that there are instances where it may take 3 to 4 years for projects to be resolved. The forum sought to resolve the issues faced by 11 enterprises. However for more complex cases the ministry has set up a higher committee consisting of senior officials of the ministries and the BOI, the statement said.